No bloom lasts quite as long as we'd like it to. 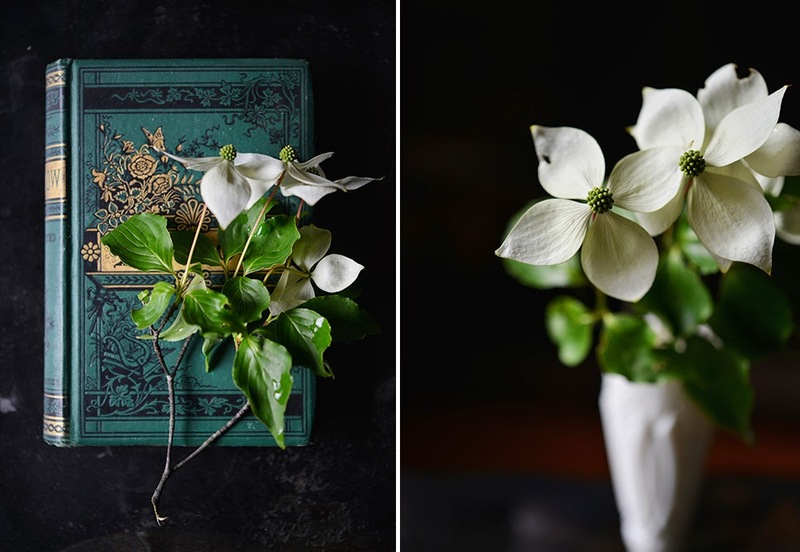 Your dogwoods are exquisite and, in company with the vintage book, delightful. My favorite is the open book. 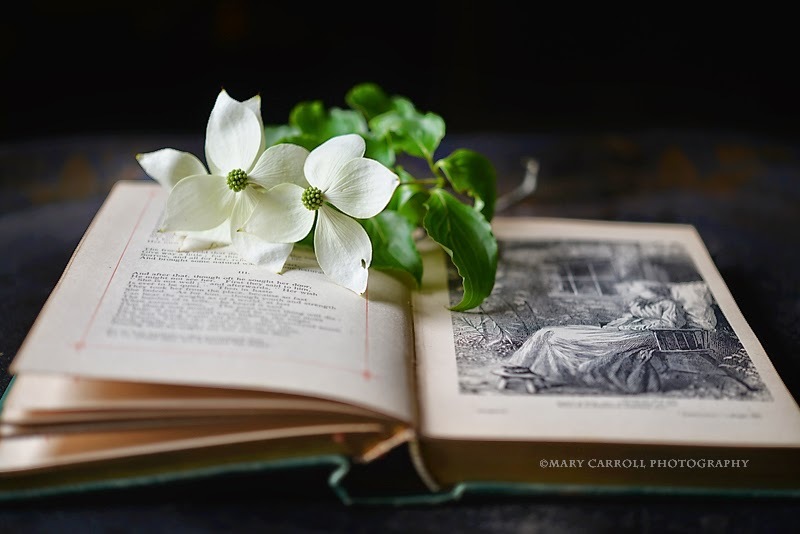 Beautiful still life with them on the book. 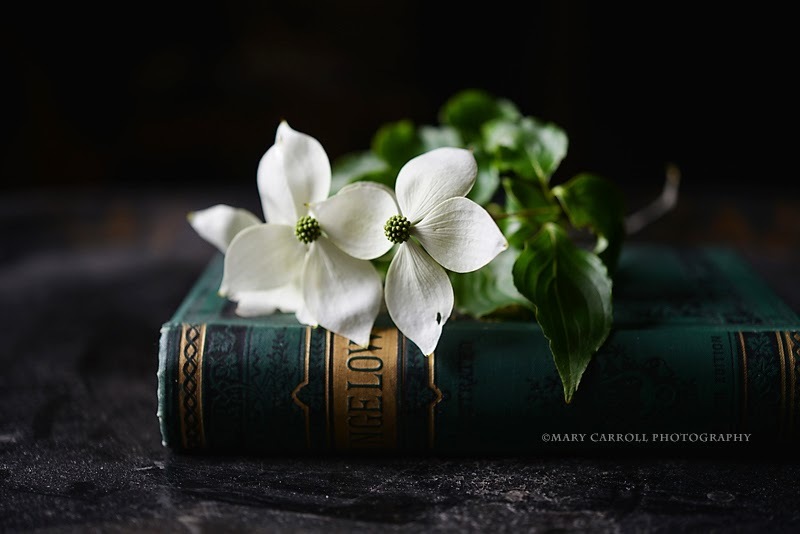 The lighting of the dogwood is gorgeous, Mary, and I love how you incorporate the book into the photos as well. Thank you for hosting; it's been quite a while since I've joined in that am happy to be back this week. 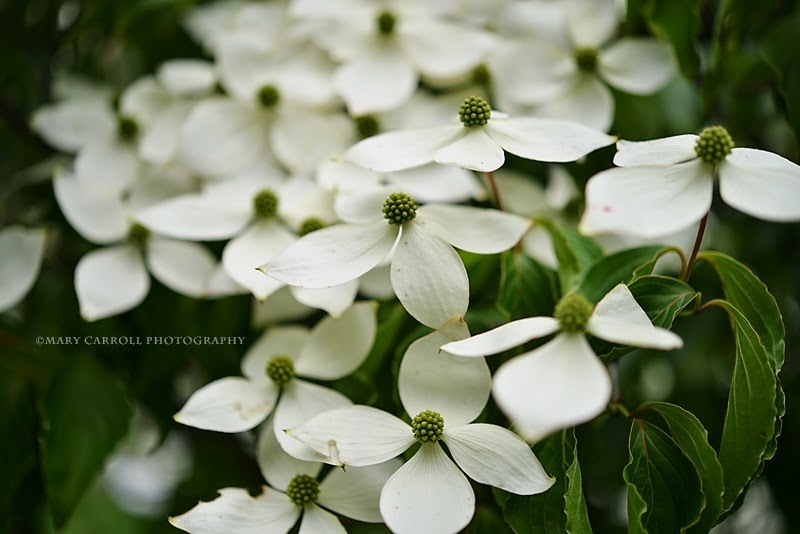 Hello Mary, I love the beautiful dogwood blooms. They are gorgeous trees while in bloom! Thanks for hosting, wishing you a happy week ahead! So exquisite and elegant are the images of your Chinese Dogwood, Mary. The last photo is mysteriously enchanting! I've not been able to participate in a while, but am happy to be back! Mind you, it's already after 1 am, here in the Med, so I'll pop over to visit everyone tomorrow! Thanks for hosting and have a super summery week! wow what an amazing flower. I love it! I have never seen one before. Is it a large tree? so beautiful. I missed last week. Thanks for hosting Mary, and have a lovely week. Summer in your half of the world and winter down here. Dogwood blossoms are so pretty, Mary! We are having a few Dogwoods planted in our landscaping this summer. Pretty......thanks so much for being such a loyal host. Just beautiful. Every time I visit I want to join in. Then time passes and it doesn't happen. One of these days I WILL participate. 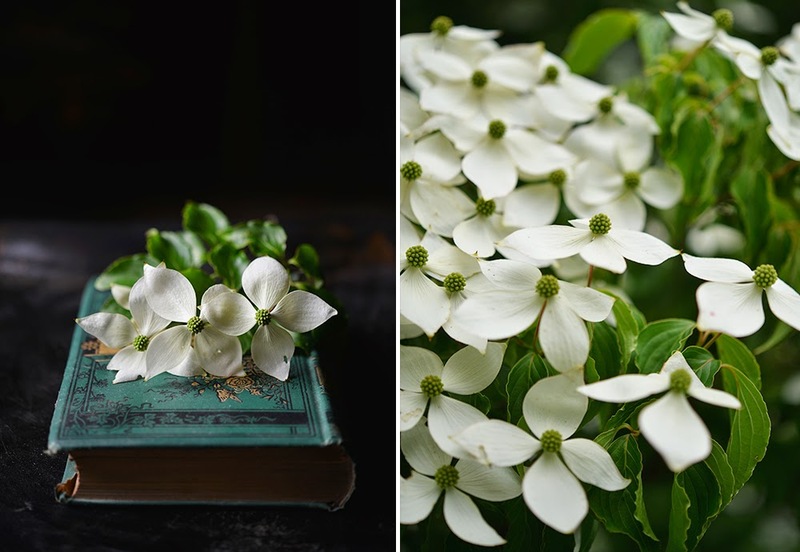 For now, though, I must say I love the dogwoods on the books, and the glowy look you have to your photos. Beautiful mosaic.